Trying to find the right Houston Home Security Services can really be tough if you don’t know what you’re trying to look for. 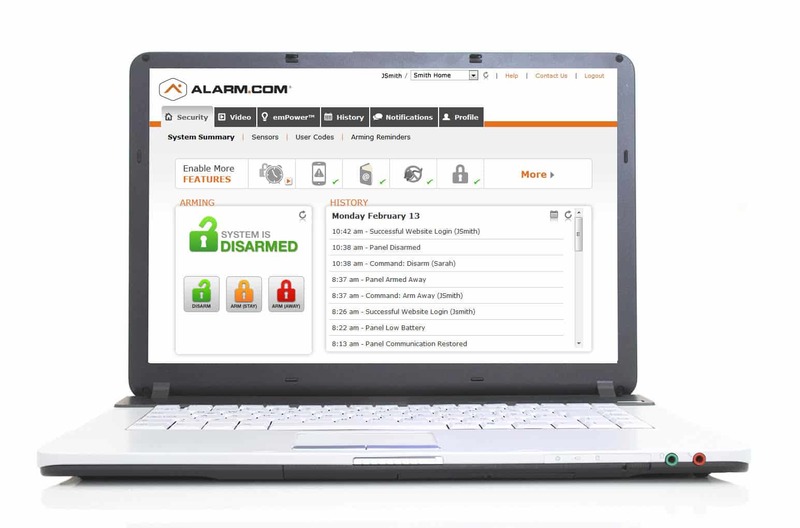 Are you ready to start getting the most possible performance out of your security systems and you don’t know how to proceed? When this happens, you may feel like you won’t have any other solutions on hand to reach out to. If you’re ready to start discovering more about what we have to offer, it’s time to call in Mega Systems Security. Our professionals have been in this business for awhile, and we’re ready to help you figure out your needs in the best ways possible. Are you trying to figure out how you’re going to be able to monitor your business remotely? Perhaps you’re ready to start installing smart technology that can sync up with your phone and make your security needs much more easier to address. While you may want all of these things, not enough people know that these are all attainable options. Mega Systems Security is a business that provides Houstonians with a reliable business for security. You deserve to realize your security and safety measurement goals, and your team is on your side. We want our customers to reel safe and secure when they trust us and the equipment we use. While you may have some doubts at first, our professionals are ready to alleviate these concerns and make you into a believer. By calling in Mega Systems today, you’ll be provided with an introduction on what we do and information on how YOUR system can do even better. Emergency dispatch is a big part of making sure you’re able to stay safe at all times. Are you ready to figure out how you’re going to be able to make sure you and your commercial comrades are able to maintain your safe standing? While you may not know exactly how you’re going to go about this, our team of professionals are ready to provide timely assistance in all the best ways. Ensure you get the most support possible out of your settings by calling our team and scheduling your service appointments. With us on your side, you won’t have to struggle and stress over your security systems in Houston. Do you think it would be very helpful to be able to log into the video footage that you’re recording in your commercial workplace? If you’re the manager of an office, you probably don’t want to be at your commercial work-site every single day. Wouldn’t you much rather be able to check in remotely and make sure everything’s fine? While this is ideal, it’s going to require some time, attention, and strategy. However, these are all attainable with the help of Mega Systems Security right behind you. Our commercial security system services definitely include video footage technologies. We can install cameras that help you figure out what’s going on within your space instantly. These provide you with HD capturing of what’s going in your conference rooms, and you’ll be able to handle business whenever necessary for this. Choose our team if you’re looking for the right resources that give you security solutions that withstand the test of time. Are you trying to make sure you’re able to team up with a service and company that has a lot of recognition in the industry they’re in? Perhaps you’re trying to avoid using some type of small company that doesn’t really have too much of a reputation. When you’re dealing with a security system installation in Houston, you’re going to want to pick the right company for your services. Failure to do this can cause a lot of repercussions, and wed don’t want you to through this on your own ensure you can change your situation by calling in Megasystems Security. HikVision and Alarm.com are only two of our many top level affiliations. Mega Systems Security is a company that always wants to improve, get better, and help even more customers. While you may not know this, our team has been endorsed by companies for a long, long time. Our reputation in this industry knows no bounds, and we’ll help you get to the bottom of your security measures. With our licensed and trained specialists on your side, you won’t have to wait long for assistance and service. Mega Systems Security wants our customers to know that they can count on us when they’re looking for quality installations. You deserve to use the right resources when you’re looking for the appropriate machinery and components for your security setup. If this is ever in doubt and you don’t know who to trust, our team can help you install the right devices. Mega Systems security has a group of specialists who are ready and willing to help you with whatever malfunctions you might be going through. With our team on your side, you don’t have to wait long for quality assistance.Find the right Houston Home Security Services and figure out your needs by calling in our team for assistance. When you’re looking for quality services that help you figure out your needs in a timely manner, count on us. Megasystems Security provides you with the technology you’re looking for as well as affordable prices. Our team to mobile experts and installers are ready to provide you with the specifications you need. Call us today at 713-668-8818 for more information on how we can help you achieve your dreams! Houston TX Information The Houston Museum District is one of the absolute largest of its kind in all of America. Are you trying to visit a city that can really help you understand your love of theater and art? If so, visit our diverse city. Our cultural hubs are perfect for anyone trying to delve into performance or composition. Founded in 1836, Houston currently boasts one of the largest populations in all of America. If you’re trying to make sure you have the right answers for your metropolitan lifestyle, visit us today!